The company's d:vote™ 4099 Instrument Microphones are perfect for capturing the acoustic vibe of this classically trained quartet. VOX is rapidly establishing itself as one of the premier live bands from the island of Singapore. 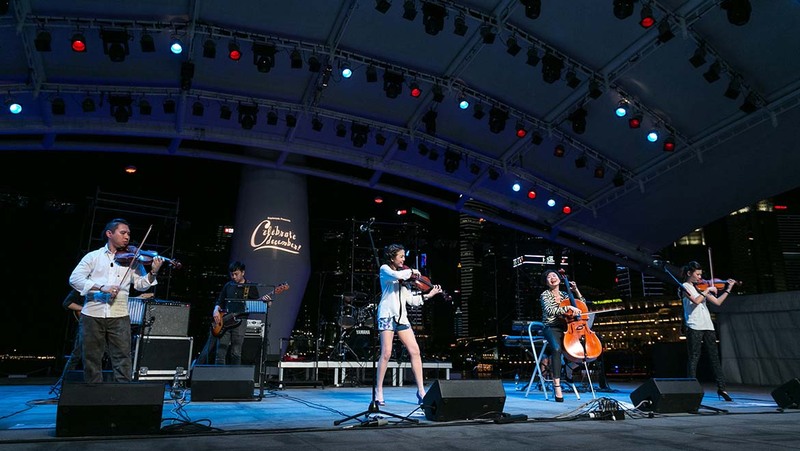 Founded by four classically-trained musicians, the group’s bold reinterpretations of rock classics from artists as diverse as Muse, The Rolling Stones and Adele have turned heads and earn them wild reviews at some major Singaporean events, including the Singapore Grand Prix, the Youth Olympic Games and the Singapore Yacht Show. Recently it has been experimenting with mashups, fusing classical and rock pieces together such as on the piece ‘Smoke Symphony’ that couples Deep Purple’s ‘Smoke on the Water’ together with Beethoven’s Fifth Symphony. And concerts last year covered the entire gamut of musical styles from Electronica to Grunge Rock, Urban Funk to Hip Hop, all, according to the band, ‘sprinkled with a good amount of 90s cheese and power girl bands’. Finding the right mics to capture all that has been a difficult journey, but with DPA the band think that they have finally got to the destination they desire. "When we first got started, VOX was pretty much at the mercy of the sound equipment that was used by the equipment hire company chosen by our clients. Instead of giving us wireless instrument microphones they would give us lapel mics that were more suitable for speech. Obviously these were not suited to picking up the sound of our strings," comments cellist Tow Huiwen. "This caused our sound to be metallic and sharp and was not what we were looking for at all." Then, by chance, one of the venue's they were performing at fitted the band with DPA d:vote™ 4099 Instrument Microphones. "The ease of fitting the microphones to our instruments and the pick up was fantastic," says violinist Justine Loh. "We could finally hear the warmth and the natural acoustic of our instruments. After that gig, DPA was always at the top of our minds. We have had the opportunity afterwards to be fitted with many other instrument mics, but the DPA d:vote™ 4099 stands out from the rest." Violinist Lester Kong adds that a mic has to do several things for VOX. "As our instruments are acoustic, a mic has to make us sound natural and not metallic and hard," he says. “It has to provide enough room for the strings and the instrument to vibrate freely. It needs to be easy to fit but we also need to ensure that the way the microphone is fitted does not cause any damage to our instrument, such as scratching the varnish. And lastly it must not get in our way during a performance." VOX was supplied with its DPA microphones by the company's Singaporean distributor Uni-DK. The close collaboration between VOX and DPA is win-win situation for both sides: VOX is now using mics that best reflect the acoustic qualities of their instruments, while DPA benefits because this group of incredibly talented musicians is highlighting the capabilities of the d:vote™ 4099s in a demanding live setting. 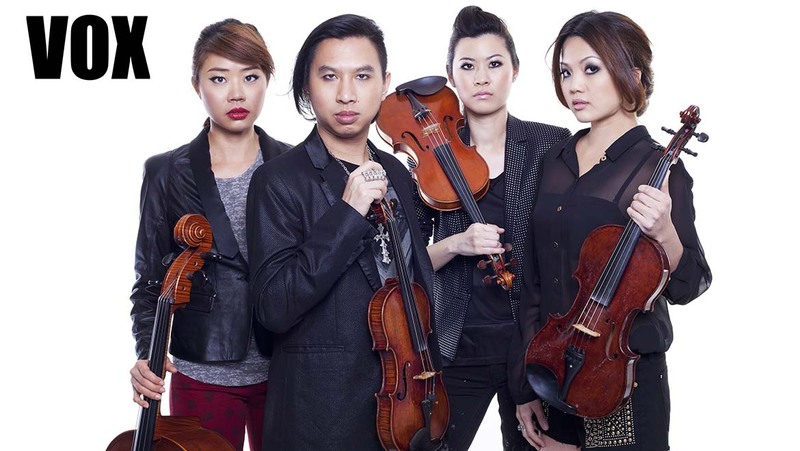 "We are truly delighted to be using DPA," says violinist Melissa Liew. "This means that whatever musical direction we move in we can have the utmost confidence that the sound heard by the audience is exactly the one that we want to deliver."